I actually came up with the blog name “SmallerLivingHugeLife” while I was still back in Salt Lake City, Utah and at the beginning of my decision to move homeward to Virginia. On February 28th I signed up for an eight week online downsizing course that began the next morning, March 1st and over the next 8 weeks made huge changes in my life…on April 14th I gave 16 days notice at work that my final day was going to be April 30th. On May 1st I began my journey of downsizing a 54 year accumulation of ‘prized possessions’ with the plan of going from a 5 bedroom, 3 bath, 3100 s.f. home in 31 days to a 310 ft. motor coach on wheels…And I did it all! Not an easy task – will be sharing more on this and how in the coming days…. Tam – I did downsize almost everything 90% would be accurate. I had so much lots of collections, crafts etc. too – I'll be addressing this in my upcoming posts. I did keep the things that I truly love, assessed the why behind much – Not being a minimalist in living life, but have learned to minimize the things/people that kept me from living… Thanks for your support and kind words. What you decide to whittle down will be perfect for you. Thanks Laura – I just got my post for today up – I appreciate your support. Yay for writing your first post! I'm super excited to read more of them. I kept doing the math- she's downsizing 90%??? That takes a lot doing. I love the idea of being a minimalist, but I think I'm too much of a crafter and too sentimental to really do it. But I'm trying to make efforts to whittle down as much as I can! 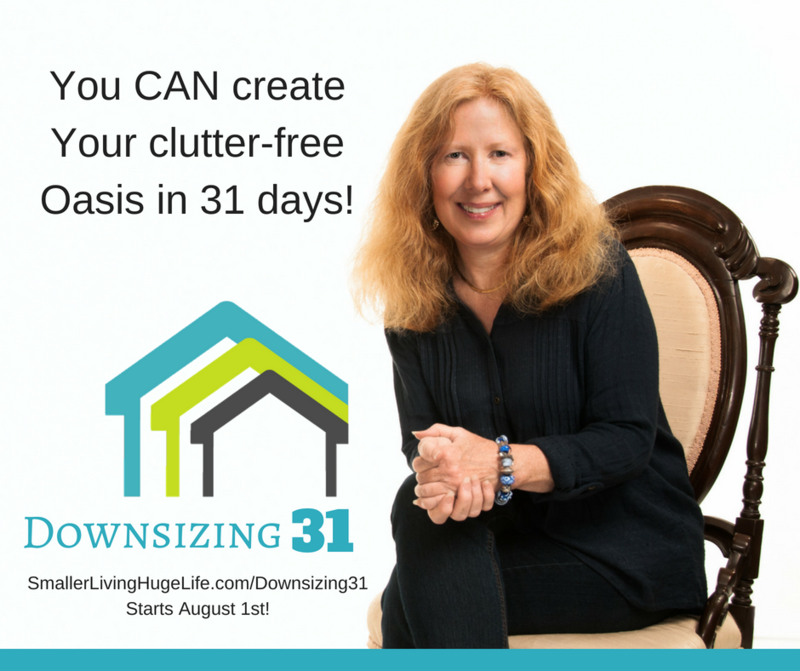 Wow what an accomplishment, not just on the blog post but on the downsizing! Can't wait to read more about your process! Congrats! Chrissy's right pictures would be great. PLUS on days when you don't feel like writing much you can just say, "Here's some pictures" LOL. Thanks for all your continued support Janet. Continue on your journey, sounds like you are making wonderful progress too. Yeah! You did it. Your first blog post! Congratulations! I will be living in a camper trailer next fall. I can't wait to downsize the bills, the imprint, definitely the cleaning.